Be the first to share your favorite memory, photo or story of Johnie. This memorial page is dedicated for family, friends and future generations to celebrate the life of their loved one. It is with great sadness that we announce the passing of our beloved husband, father, brother, grandfather and great-grandfather Johnie “Papa Smurf” Holwagner. Johnie passed away on Friday, January 25, 2019 at his home on Lincoln Avenue in Nampa, Idaho. Johnie was born in Fort Worth, Texas on August 22, 1948 to his parents Johnie and Elizabeth Sarah Dugan Holwagner. He was born six minutes before his twin brother Patrick and made sure that everyone who asked understood that very important fact. Johnie lived in French Morocco before ending up at Travis AFB in Fairfield, California where he lived the major part of his childhood. He graduated from Armijo High School in 1966 and attended junior college for one year before he was drafted into the Army in March of 1968. He did a short tour in Alaska before being assigned to Fort Ord. He was discharged in July of 1971. Bowling was his life’s work and his passion. Johnie’s parents both were bowlers and Johnie naturally became a bowler in the mid-fifties. His first job after he was discharged from the Army was as a mechanic at Fairfield Bowl in Fairfield, California. It was here that he met his future wife, who was the desk attendant, Linda Louise Viellette. He left Fairfield for a new position at the Manteca Bowling Center and Johnie and Linda were married on August 2, 1986 in Reno, Nevada. Linda brought into the family her two children Bernie and Michelle and Johnie brought in his son Christopher. Their son Jeremy was born in July of 1988. Johnie started as a mechanic but his abilities and his professionalism got him promoted to bowling center manager. In May of 1998 he found a better opportunity working for Steve Young and then John Chatterton at Nampa Bowl. Johnie was an avid movie collector. He worked closely with his brother Patrick to build his own personal library of favorite films. He was also a collector of all things related to eagles. His house is replete with statues, pictures framed prints and clocks, all eagle themed. He also loved baseball style caps and would often scour flea markets looking for that special cap, or maybe six special caps. But most of all Johnie loved his family, he loved his employees and coworkers at Nampa Bowl. He was preceded in passing by his parents Johnie Dee and Elizabeth Sarah Dugan Holwagner. 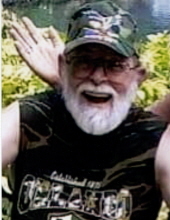 He is survived by his wife of 39 years Linda Louise; his twin brother Patrick (Sue) of Reno, Nevada; his sister Peggy Sue (Richard) of Modesto, California; and his brother James Lee (Lisa) of Vacaville, California; his four children; 13 grandchildren and 12 great-grandchildren; four nephews, four grand-nephews and two grand-nieces. Johnie will be remembered by his family for his love of his fellow man as well as his family. He would do anything for a friend. If you knew Johnie Dee you knew you had a true friend. Funeral services will be held at 9:00 a.m. Saturday, February 2 at Zeyer Funeral Chapel, 83 N Midland Blvd in Nampa followed by a Celebration of Life at 11:00 a.m. at Nampa Bowl. A viewing will be held from 6:00 to 8:00 p.m. Friday, February 1 at Zeyer Funeral Chapel. "Email Address" would like to share the life celebration of Johnie Dee Holwagner. Click on the "link" to go to share a favorite memory or leave a condolence message for the family.